Inspired by the tastes and rhythms of Brazil, Tinyb Chocolate specializes in brigadieros, a sphere of creamy, chocolatey goodness. 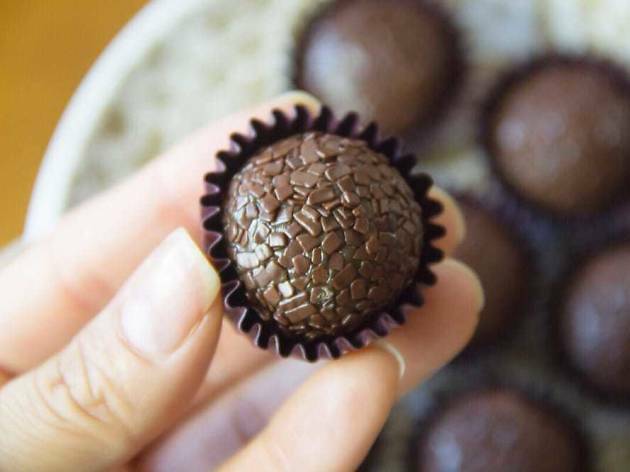 These playful cousins of the typical truffle are lovingly made by Sao Paolo native and San Francisco transplant Renata Stoica in bright South American flavors like passion fruit and white chocolate, pineapple coconut and banana with cinnamon and chocolate sprinkles. Bring home a box of four for $12 or 30 for $60.